That's right! 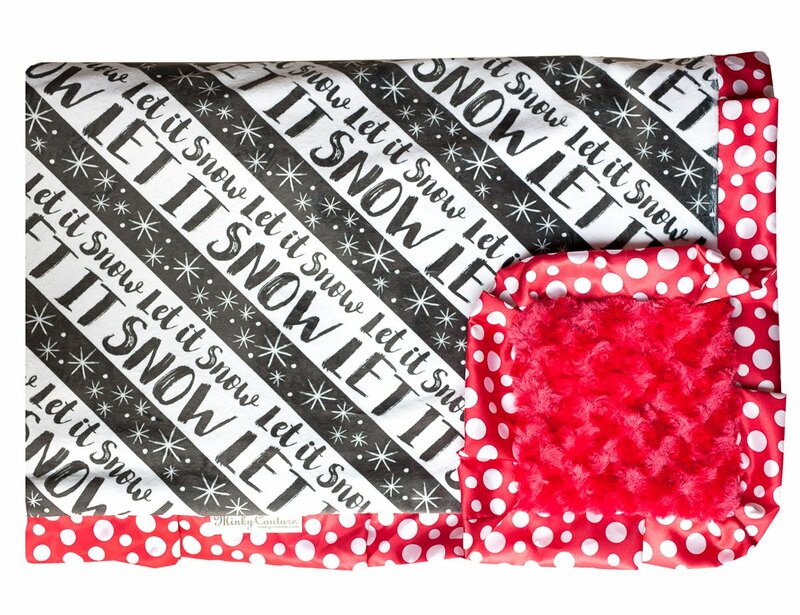 We love the snow (as long as we don't have to shovel) and we can snuggle in this darling minky! Charcoal colored stripes with snowflakes and "let it snow" wording, on a paper-white background. Red minky back with a red & white polka dot ruffle.